Summer is ending, which means fun and cheer are ending with it, until Halloween, and then again until Christmas, and then again until the next summer. That’s how it goes, right? In honor of the temporary death of joy, I’ve decided to turn my attention away from Shakespeare and Robin Williams movies and blockbusters and focus on dreary period dramas. That… that sounds like fun, doesn’t it? I think this is probably going to be a short article. You’re welcome. 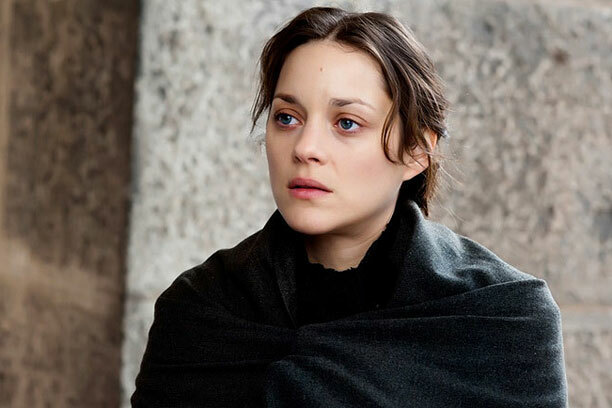 The Plot: Ewa (Marion Cotillard) is a poor immigrant full of hope as she arrives at Ellis Island. Her hope swiftly dissipates when her sister is quarantined by the authorities and her aunt and uncle forsake her and it seems as if she’s going to be deported. That is, of course, until Joaquin Phoenix (Joaquin Phoenix) shows up, offering her work and shelter. Hooray! It’s not long, however, before “work” becomes “prostitution” and things just kinda spiral on downwards, as they are wont to do. Joaquin Phoenix begins developing some weird feelings for Ewa, who not only hates him for the whole prostitution thing, but now begins to redirect her attentions to the debonair magician Orlando (Jeremy Renner). So, right off the bat you should all be thinking, “What a great cast!” Marion Cotillard, Joaquin Phoenix, and Jeremy Renner. Please, sir, can I have some more? As such, the performances in this grim drama are exceptional. The script basically aims for a monotone melancholy, which is deepened and made more interesting by these three great actors. Cotillard’s Ewa is more than the passive victim written in the dialogue, and similarly Jeremy Renner transforms a convenient ray of sunshine into a naïvely desperate and hopeful screw-up, but I think Joaquin Phoenix is even better. He takes what should be a blandly scummy antagonist and transforms him into a layered, troubled human being whose villainy is the product of a dark past, exposed to the audience only in small hints of facial expressions, delivery, and composure. James Gray’s script definitely wants him to be sympathetic, but I don’t think enough is provided in the dialogue to achieve that. Phoenix is so compelling that his character is almost tragic by the end of the film. If that’s not the sign of a talented actor, then I don’t know what is. As I’ve implied, much of the film is overly somber. I get that it’s a dour subject, but the film’s entirely humorless. That can work for some movies, but it feels a tad excessive here. At the end of The Immigrant you feel like you’ve just spent two hours watching a movie that was made with the sole intention of garnering awards and nominations, which it failed to do. It’s not that the movie’s bad; it’s just missing something. Heart, maybe? We’re supposed to pity Ewa, and any decent human being will, but the filmmakers depend upon human decency for their project to carry any weight, like the film needs an audience to be good at all. Writer/Director James Gray seems somewhat dispassionate towards the plights of his characters, so that the film adapts an “and then this happened” feel. Y’all know what I mean? This is only averted in the final act. There’s an unexpected twist about three-quarters of the way through that does allow for some great character development, and the actors, particularly Cotillard and Phoenix, do a wonderful job processing the new circumstances. As such, the last half-hour or so of the film is superb and efficiently captures everything the previous hour-and-a-half fruitlessly toiled away for. While this is rewarding to watch, the unbalanced ratio between good and mediocre produces an ultimately unfulfilling viewing experience. 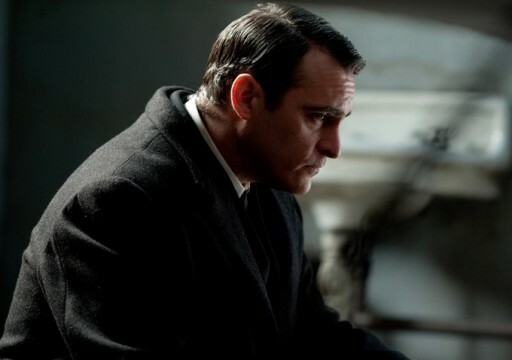 The Immigrant is well acted, competently directed, pretty to look at, but in the end is rather pointless. All I can say is that they tried, but they tried to be something they were never going to be: an Oscar-bait drama. It’s abundantly clear that Gray only cared about the critical reception he’d get, and not for the story or characters themselves. The result is a movie that hits all the right checkpoints along the road to success, but does so without any real emotion or spirit. I started to watch this, but gave up before they even left Ellis Island — it was just going to be too depressing…and predictable. I felt a little guilty for abandoning such a great cast, but after reading your review, I feel vindicated. Thanks! I would have to agree with you. I love all three of these actors and was expecting it to be fantastic from start to finish. It’s taken me three times to try and finish this movie due to being…well…bored.